Recently I was asked to take a look at the products on the website Moroccan Bazaar. 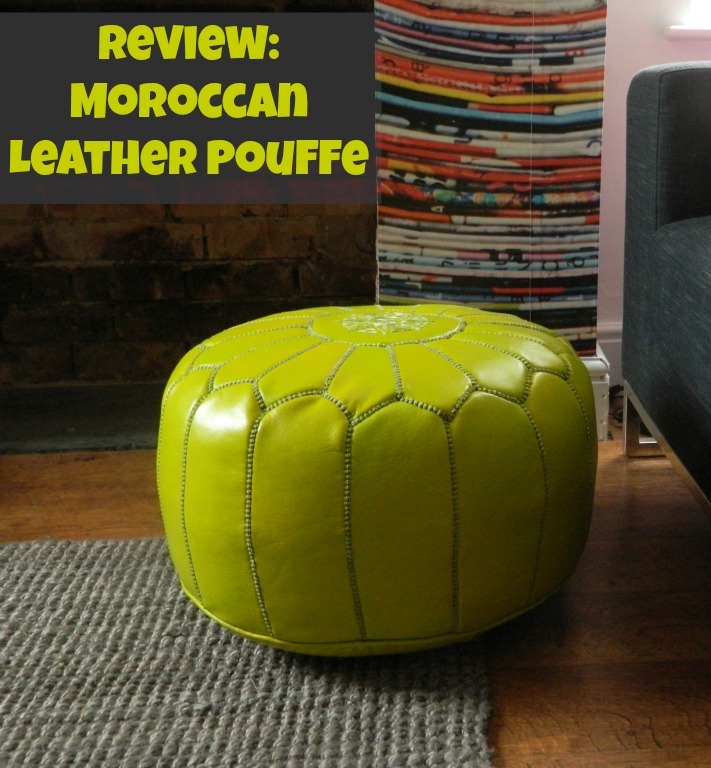 Not normally my kind of style I was really taken with the range of pouffes and chose a lime one to review here on the blog. 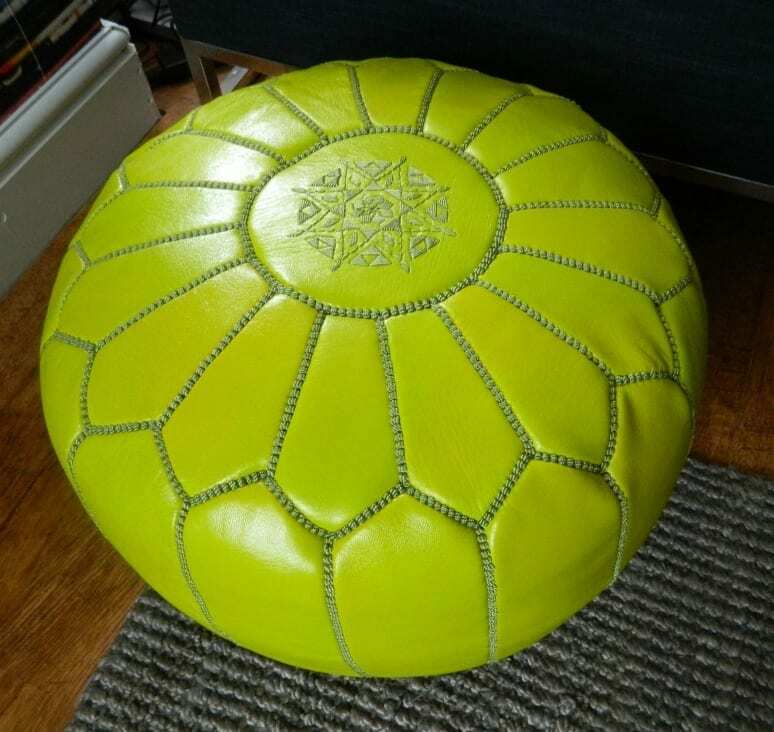 Handmade for Moroccan Bazaar from the finest kilim (there are faux leather ones available too) the lime pouffe was the perfect choice for our dining room/den as we needed some extra seating and everyone loves to put their feet up on something when lounging on the sofa. One of the first things that surprised me was the range of colours we could choose from. Both Gold and Silver in faux leather, and then a huge range in leather including blues, greys, pinks and oranges. The lime works well with our colourful wall mural and I knew it would work well the décor in general. Our Moroccan Bazaar pouffe is larger than I imagined at 50cms wide and 30cms high and looks very stylish. It does work well in the room and has proved very popular with the children as expected. I do think it’s rather overstuffed and we have removed some of the filling to make it more comfortable. As it was when it arrived it didn’t sit well on the floor and was rather hard; it does seem much better now. Some of the leather appears uneven in colour too and I suspect this comes from difficulties in the dyeing process; lime could be a hard colour to get right. In places it looks more yellow than lime and I wonder if I’d paid the full price of £100 for the item if I might have been a little disappointed with that. Nevertheless I do like it and think it’s well worth the money. Moroccan Bazaar has an amazing range of Moroccan styled pieces both home and fashion items, which all look interesting and good quality. Check out their site here if you’re looking for this kind of thing. Disclosure: I was sent a complimentary lime pouffe but the comments and opinions I’ve expressed are genuine and honest. Yes the girls are loving it. Even found OH in there the other day watching the grand prix and resting his feet!